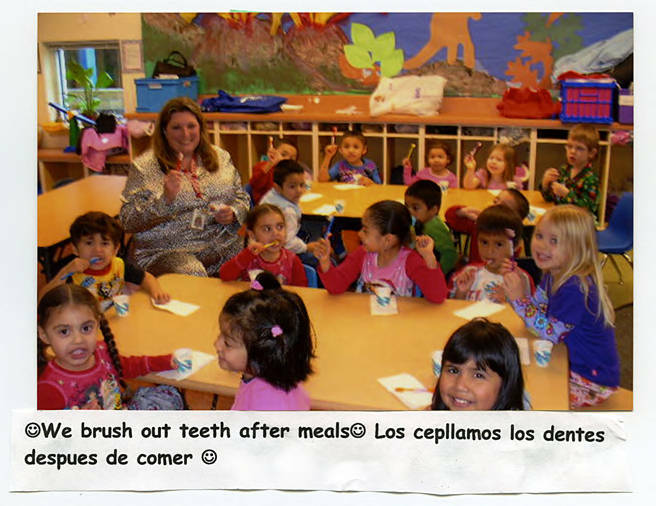 A group of students brush their teeth with their Head Start program teacher. Online access to this image is for research and educational purposes only. To inquire about permissions, order a reproduction, or for more information, please contact Community Action at contact@caowash.org.